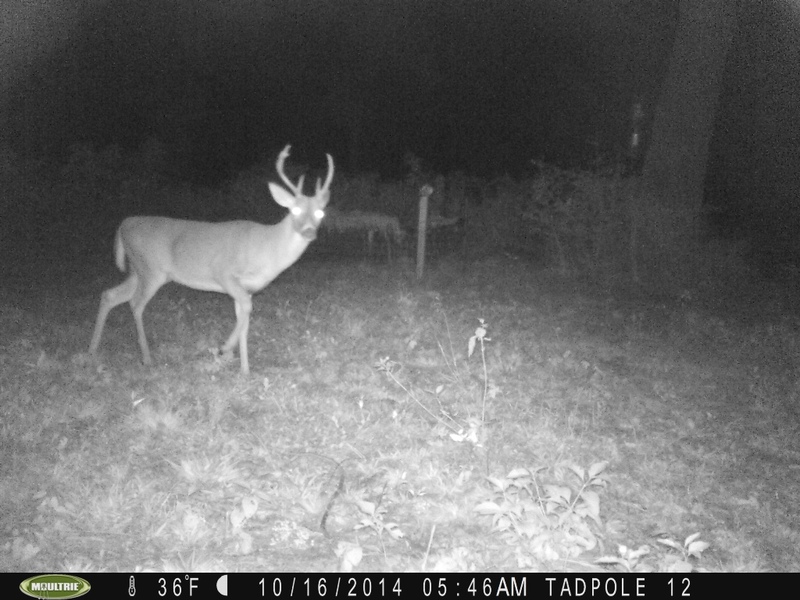 HOWELL, Mich. — It’s rare that an 11-year-old hunter bags a 12-point buck with a crossbow. It’s even more rare when that buck is an albino deer. 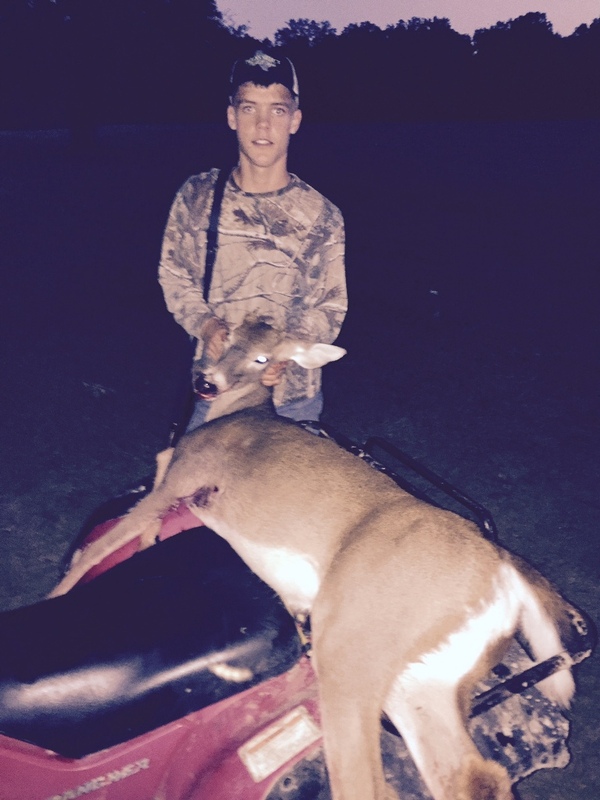 Gavin Dingman of Oceola Township took down the trophy buck last week while hunting with his father, Mick Dingman. “He kind of feels like a rock star right now. 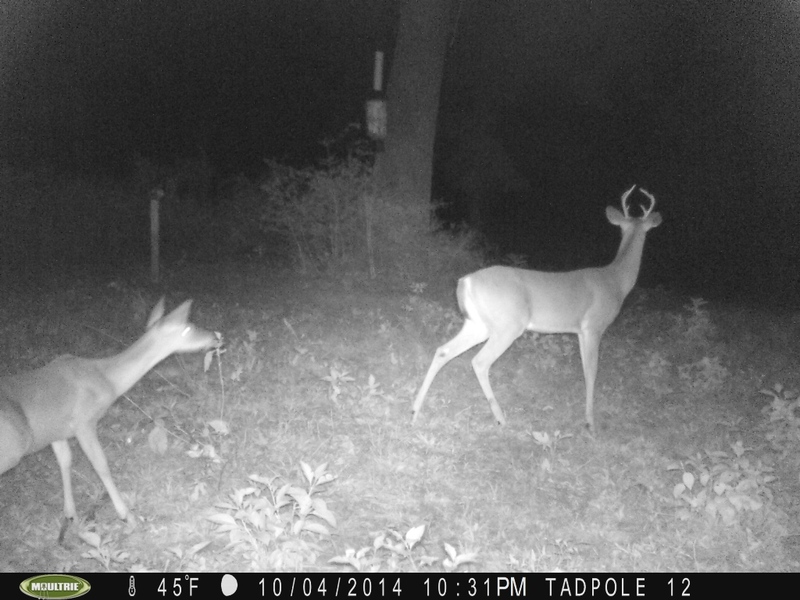 Everyone is calling, all of the hunting shows and hunting magazines,” Mick Dingman said. The Dingmans had spotted the albino deer several times over the past couple of years and had even snapped photos of it. “The whole neighborhood is familiar with it. 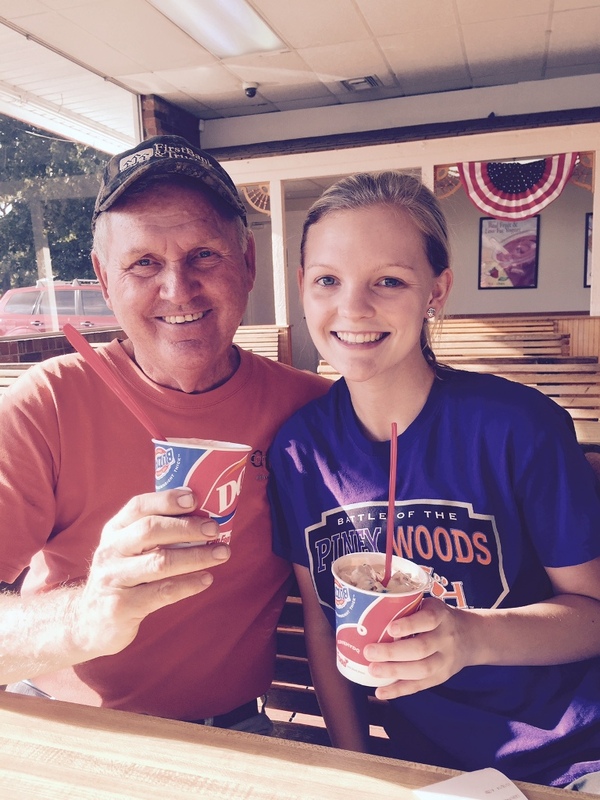 Quite a few of the guys in the neighborhood were trying to get it,” Mick Dingman said. Mick Dingman said Gavin and his brother Graham, 13, were arguing during dinner over whose turn it was to hunt with their father Monday evening. Luckily for Gavin, it was his turn. When he saw the albino deer, Gavin said he was “very nervous” as he took aim with his crossbow. “My dad was just like, ‘Take a deep breath. Are you sure you can take the shot? If you’re not 100 percent, we don’t want to injure it,’ ” the boy recalled. Gavin’s shot from about 30 yards was true. “I double-lunged it,” he said. It wasn’t Gavin’s first buck. He shot a six-pointer “straight through the heart” last year with a crossbow, he said. 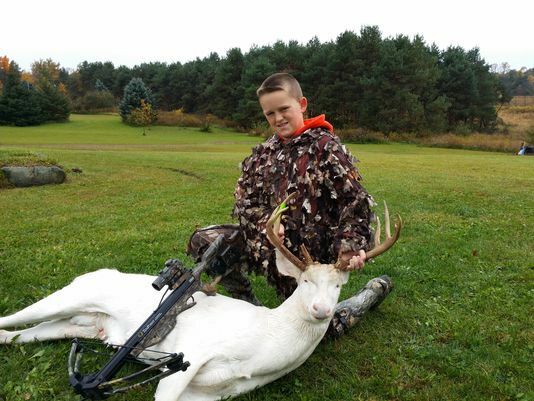 Mick Dingman said he had total confidence in his son’s ability to take the albino deer. Gavin will have a large trophy to remind him of his hunting success. The family is having a taxidermist create a full-body mount of the deer. Gavin said his friends and classmates have been impressed with his rare feat. “They are like, wow, that is so cool,” he said. How rare is an albino deer? In a December 2013 report published by USA TODAY, Wisconsin naturalist John Bates, co-author of “White Deer: Ghosts of the Forest,” said albino deer are born once in about 20,000 births. Some biologists claim only one in 100,000 deer is born albino, the report said. Remove meat in the field and leave the carcass behind. Bury it if possible. 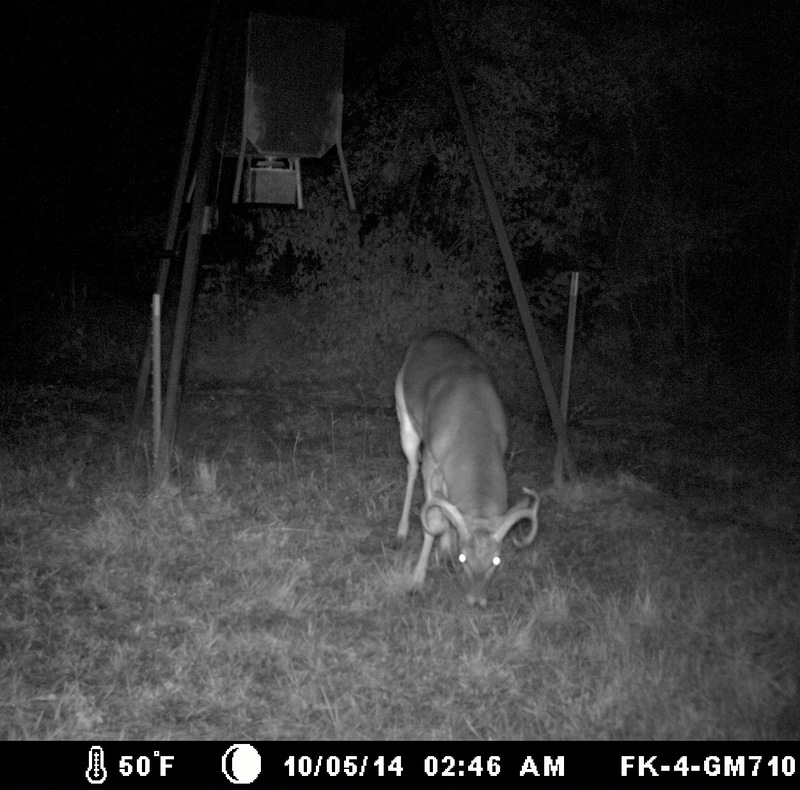 Take harvested deer to a licensed commercial processor to assure proper carcass disposal. 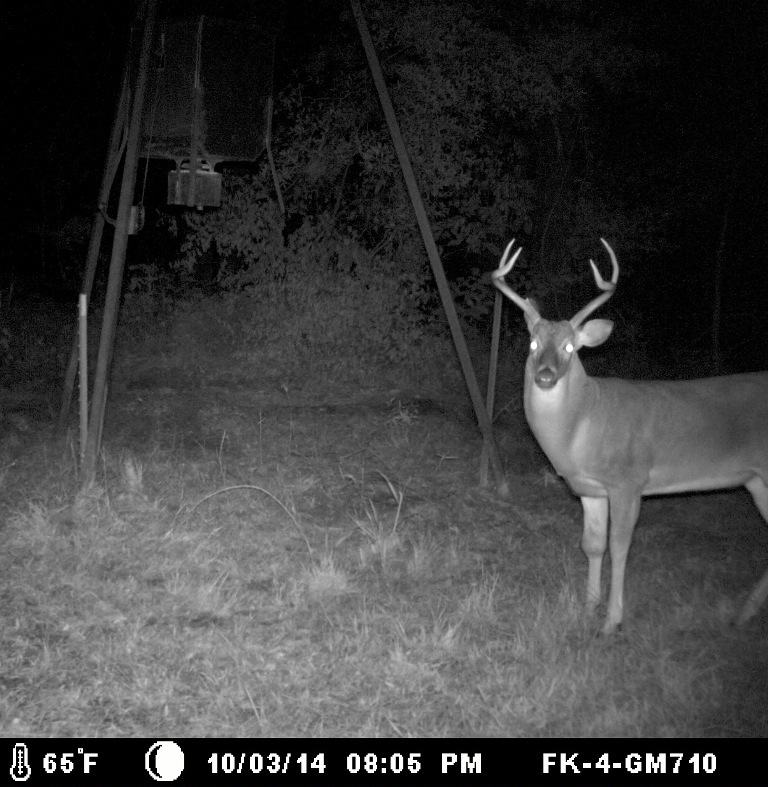 AUSTIN – If early field reports by bow hunters and those hunting on Managed Lands Deer Permit properties are a sign of things to come, Texas hunters should see deer in good condition and above average numbers of mature bucks when the general season kicks off Nov. 1 statewide. 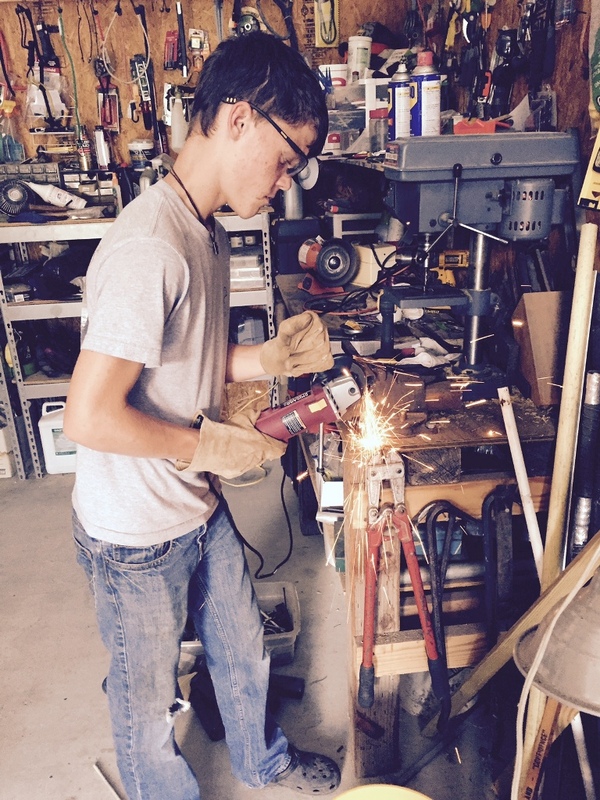 Grandson Garrett is fabricating a ladder tree stand for deer hunting. 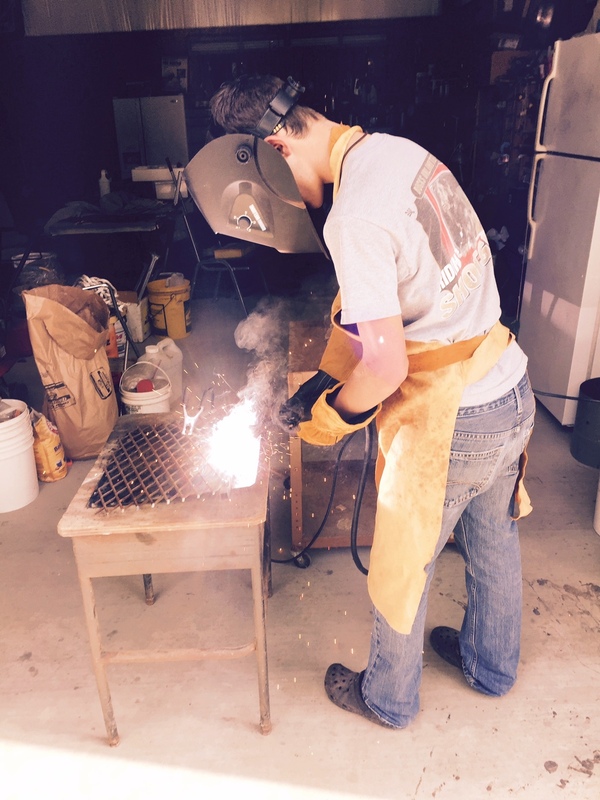 He’s learning to weld in one of his classes at school. Notice all were night photos. And all were young deer.